Today has been amazing. 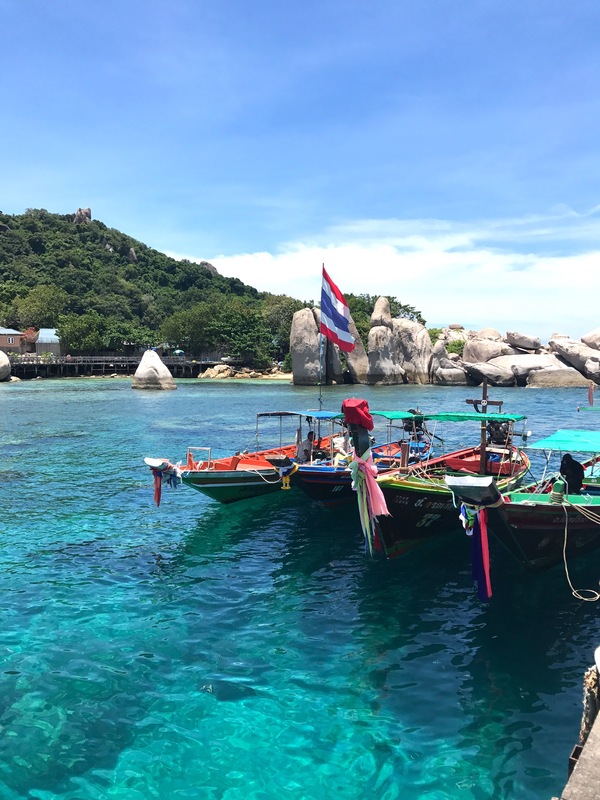 Koh Tao is known as Turtle Island, and one of the best places in the world for scuba diving. Although I’m not brave enough for diving, I’ve had so much fun today sailing and snorkelling around the island. First we stopped at Nang Yuan island, a private resort consisting of three little islands connected by sand. 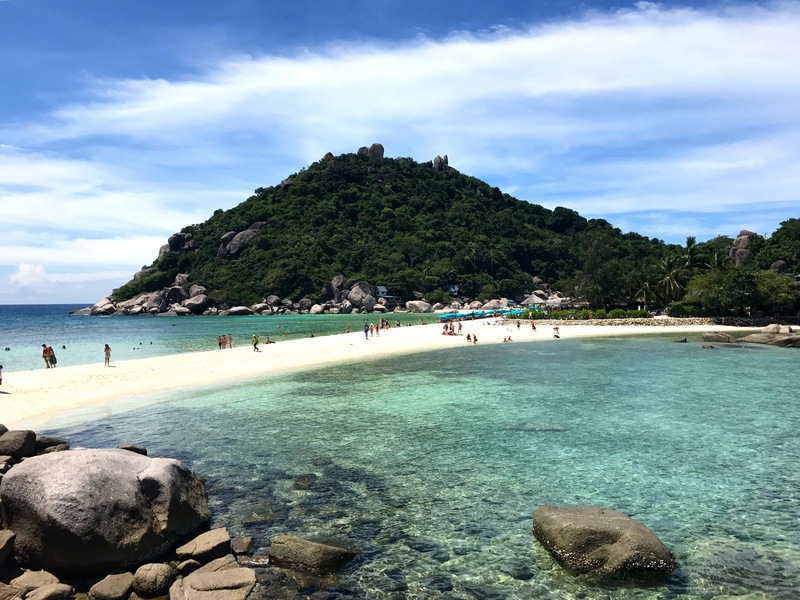 I spent most of the time on the beach, and then also walked all the way around the smaller island. After a delicious lunch on the boat it was time for snorkelling! I’ve tried snorkelling so many times before but I usually can’t even put the mask on because I instantly panic with things on my face. The first few tries I only managed to stay underwater for a couple of seconds at a time, but once I’d worked out the whole breathing thing there was no stopping me! I absolutely loved it! It felt amazing to finally be able to do it. First stop was Lighthouse Bay, then Aow Leuk and Shark Bay. 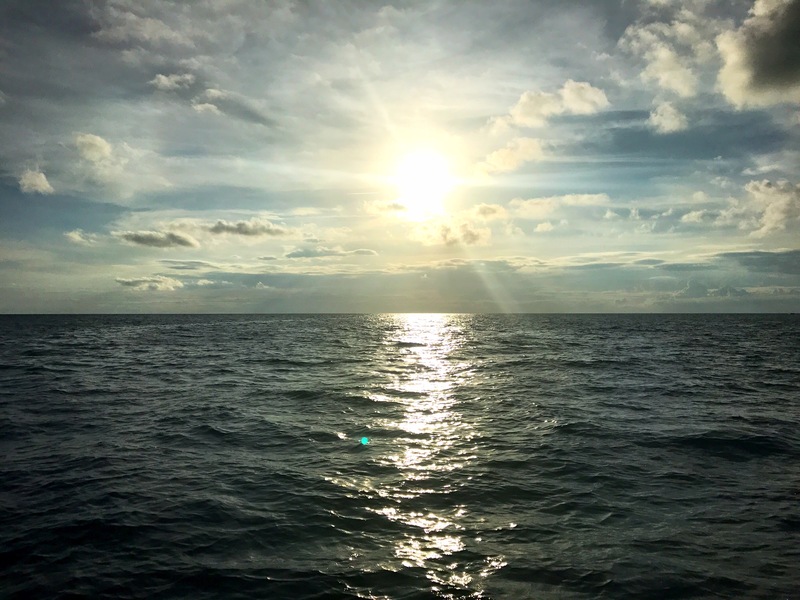 From beautiful corals, to colourful fish and baby sharks, it really was incredible. At one point we were swimming above thousands of fish all together for as far as the eye could see. One of the instructors dived down and they all formed a circle around him which was amazing to watch. I also got to swim alongside a turtle! 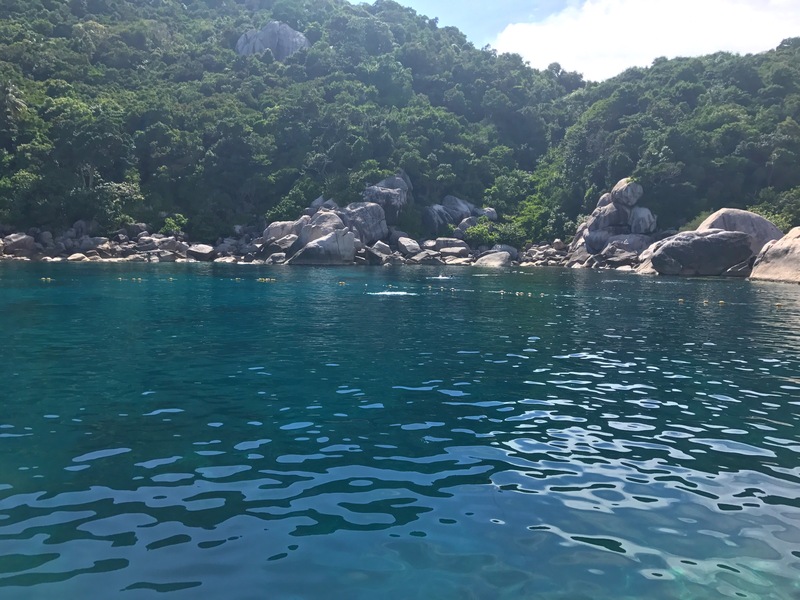 Snorkelling was such an incredible experience, and I can see why Ko Tao is the perfect place for exploring the ocean. 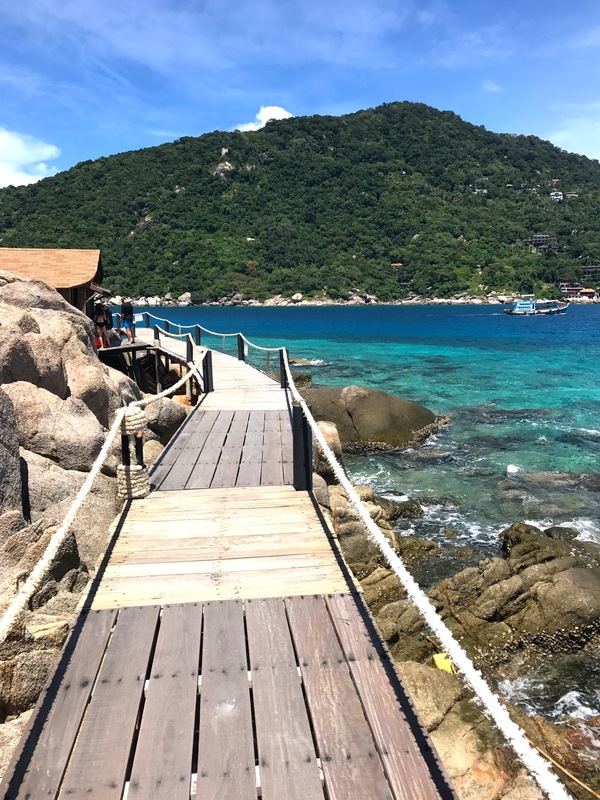 What a beautiful place this must be for snorkelling, both above and below the water. Definitely need to add this to our list of places to visit some day. Thanks for sharing!